Renewal by Andersen® of Eastern NY is a unique window company because unlike other window companies, we are a full-service patio door and window replacement company. We own the entire process from start-to-finish. We handle the initial design consultation, the custom manufacturing, the window installation, the service, and the warranty coverage. This is why we can provide our customers with the Renewal by Andersen Signature Service. We designed our hassle-free window replacement process with the homeowner in mind. Our team will be with you every step of the way, from design and sales through installation and service. We maintain an open line of communication, so you’ll find it easy to get answers to any questions you might have. Our window replacement process can be broken down into four steps: in-home consultation, measure and manufacture, installation, and customer care. During your in-home consultation, our design consultants will listen to your needs and help you create a plan to improve your home’s energy efficiency and enhance your home’s beauty. They will meet with you during a time that fits your schedule and they will work with you to design a solution that works for your specific needs. They discuss ways to fit your window replacement into your budget and they will come up with design options that fit your home and your expected project timeline. Our products are designed and made with specific customers in mind. We manufacture our replacement windows to fit within 1/16th of an inch of your home’s existing window openings. “Measure Twice, Cut Once” is an adage our technicians swear to. Your project technician will take detailed window and framing measurements, note structural issues and climate concerns, assess the condition of your window components, and answer all of your questions. Our high-quality replacement windows are only as good as the people who install them for our customers. That’s why we make sure to hire the best people in the industry. Our professional craftspeople are skilled and experienced enough to install windows in homes of all styles, shapes, and sizes. They also go above and beyond during each window replacement project. We will handle cleanup and disposal after the project and we will leave your home spotless. During installation day, you can expect our installation crew to arrive with a “rolling workshop.” This workshop contains all the tools and equipment they will need to handle any number of challenges during the project, including but not limited to changes from house settling, variations in wall thickness, and more. They will also place drop cloths to catch dust and debris and they will clean the work area thoroughly before and after the installation. After the installation, they will also walk you through a product demonstration. 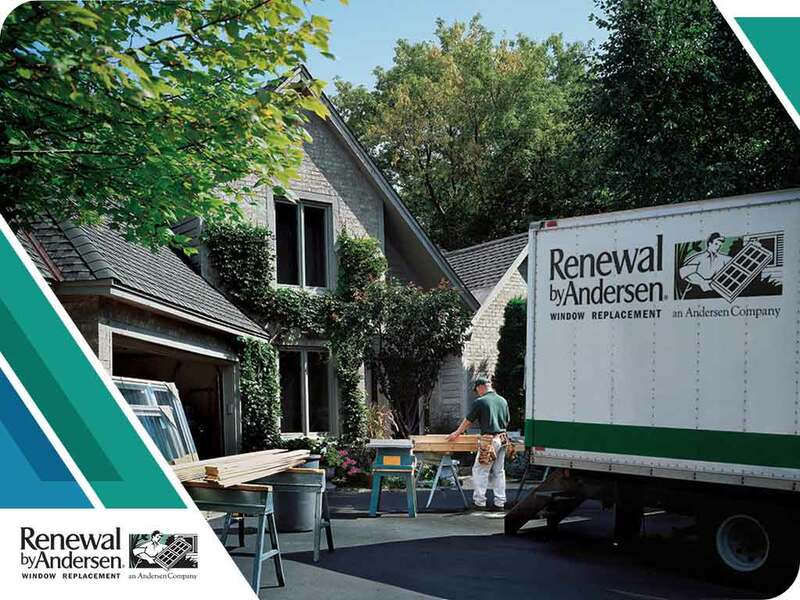 As part of our Signature Service, Renewal by Andersen of Eastern NY will be there with you no matter how long it’s been after your window installation project. We promise to keep the lines of communication open and to answer your questions, address your concerns, and to listen to your feedback. Your new windows come with our toll-free number and each window has a unique ID number. This will allow us to identify your exact window and deal with any concerns you might have. We are able to provide our customers with one of the strongest warranties in the industry because we handle the entire replacement process, from manufacturing to installation. Our replacement windows’ factory-glazed glass and other glass components are warranted to be free from manufacturing, materials, and workmanship defects for twenty years after the original installation date. Under normal use, the glass is also warranted not to develop any material change in appearance resulting from manufacturing defects or premature failure of the glass or organic seal for twenty years after the original installation date. The Fibrex® material components of our windows, which includes the exterior grilles, sash, and frame, are warranted to be free from manufacturing, materials, and workmanship defects for a period of twenty years from the original installation date. They are also warranted to not corrode, pit, blister, rust, flake, or crack for a period of 20 years from the original installation date. The color finish on the Fibrex exterior material components is also warranted to be free from manufacturing defects resulting in color fade 5 delta-E measured in accordance with ASTM D2244 for a period of ten years from the original installation date. The non-glass portions of our windows, which include hinges, frame members, non-electric operators, lifts, handles, locks, balance systems, weatherstripping, insect screens, sash and frame members, are warranted to be free from workmanship, manufacturing, and materials defects for a period of ten years from the original installation date. Lastly, the installation of your Renewal by Andersen windows by an authorized Renewal by Andersen contractor is warranted for a period of two years from the date of the original installation. Renewal by Andersen of Eastern NY is the window contractor you can rely on for your window replacement project. We hire the best people and we offer our customers one of the best warranties in the door and window industry. Our hands-on and comprehensive approach ensures that your new windows will provide you with energy savings and will last for years. Call us at (866) 479-1700 or visit one of our showrooms at Schenectady or Middletown to learn more about our services and products.